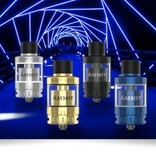 The Ammit 25mm RTA follows up on the original flavor-driven Ammit RTA, deploying an enlarged chassis with enhanced Three-Dimensional Airflow System and a design overhaul of the single-coil build deck chamber. 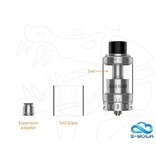 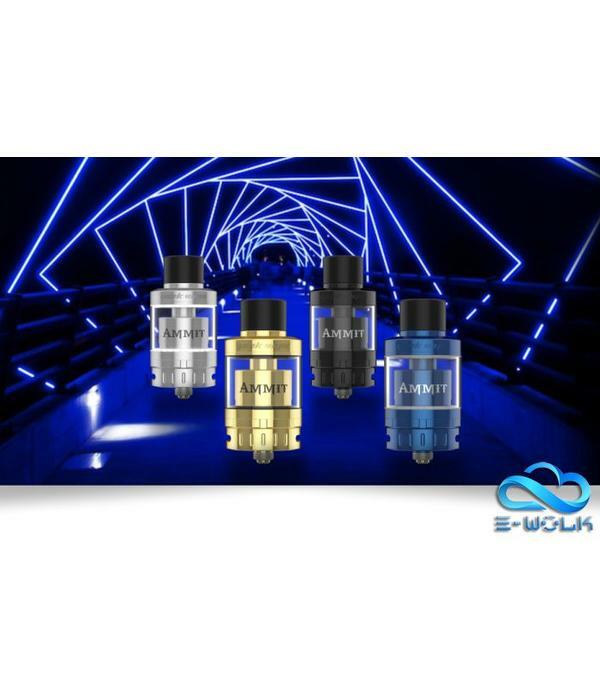 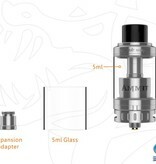 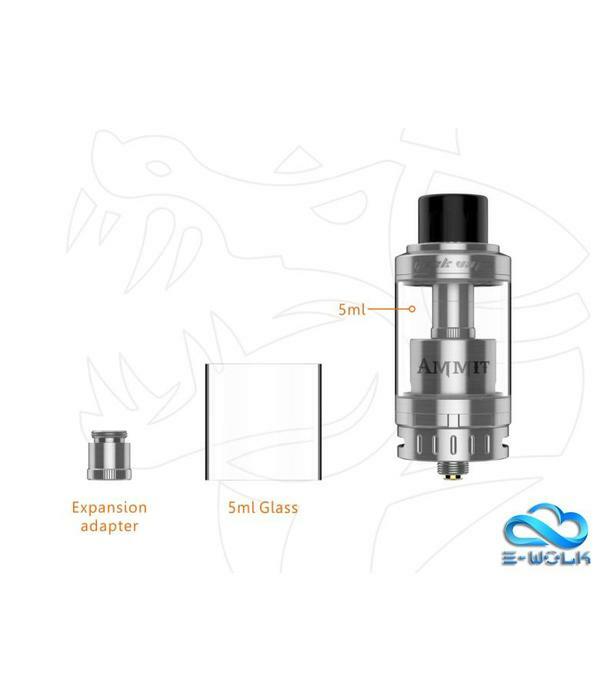 Designed to be a direct upgrade to the original Ammit 22 RTA (not the Ammit Dual Coil RTA), the new Ammit 25mm RTA implements a standard e-juice capacity of 2 milliliters, with the option to expand the glass section and chimney for a maximum hold of 6 milliliters. 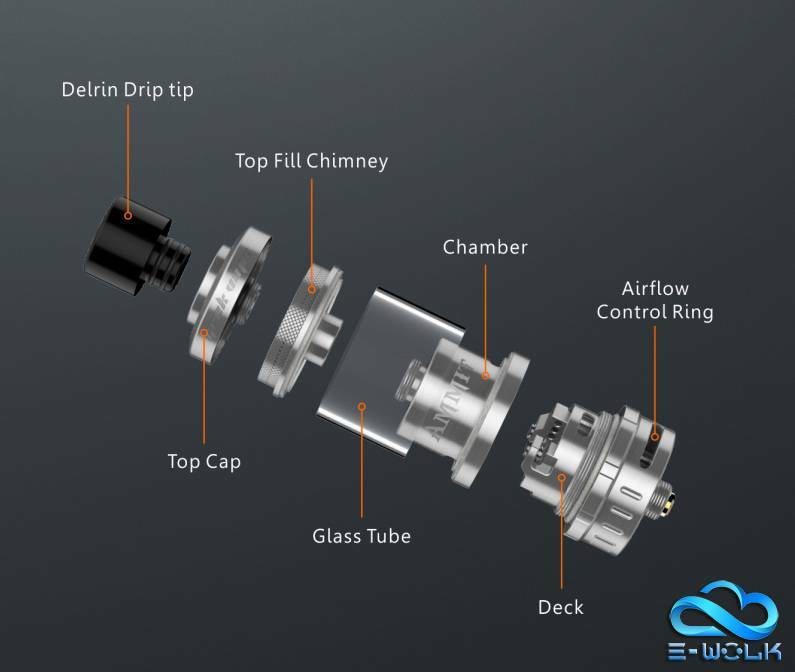 The build deck has been enlarged and changed to work in synergy with the upgraded airflow system, integrating a unique two-post, single terminal design to accommodate single coil configurations with user-friendly setting. 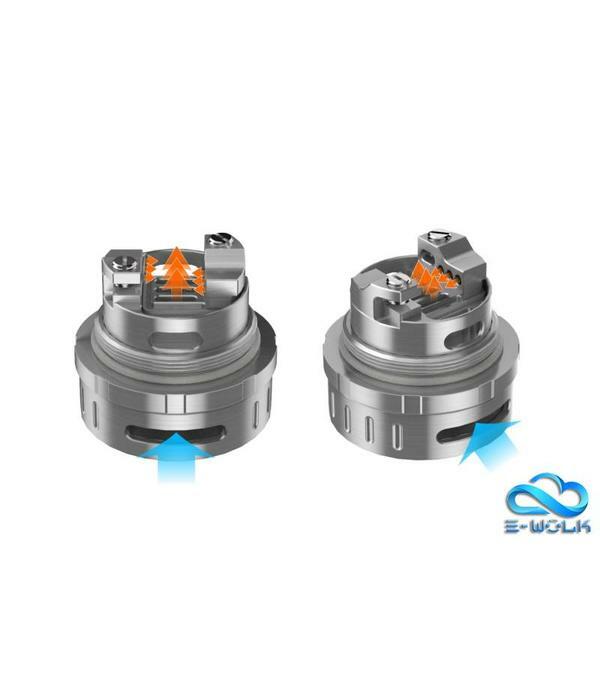 The coil leads are laid into the terminal hole, secured vertically via a slotted flathead screws for an easy mounting method while also ensuring a tight and consistent fit. 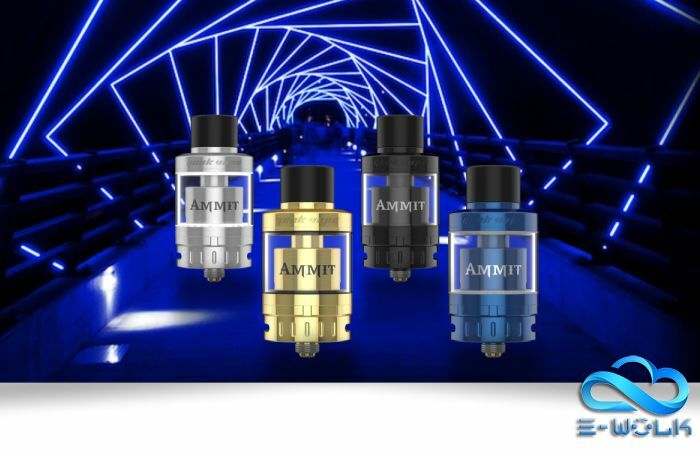 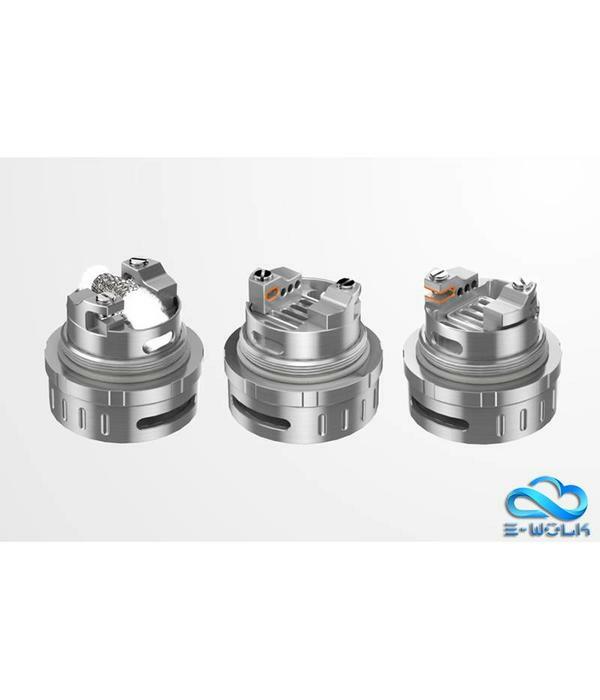 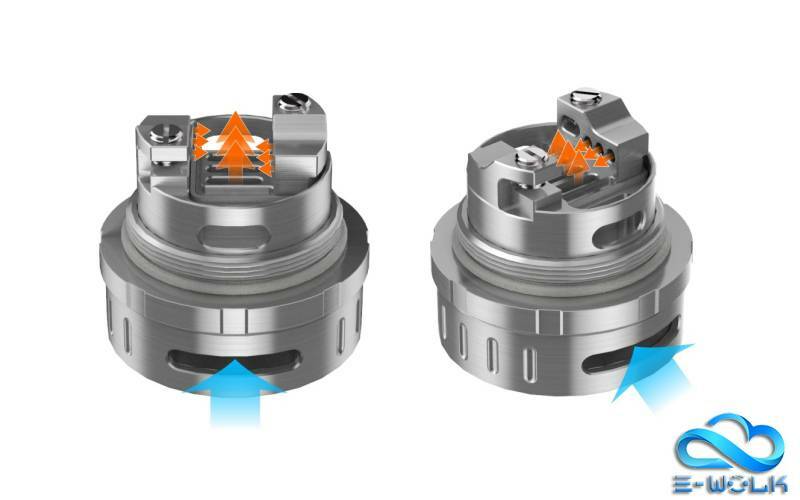 The Ammit 25 RTA features the latest enhancement to the 3D Three-Dimensional Airflow System, allowing for a distinctive air paths unlike any other rebuildable tanks in the industry. 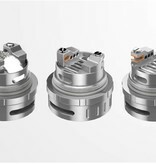 Aorflow enters the structure through the dual airslots located at the base of the tank, meeting at the central point of the chamber before dispersing through three internal air channels. 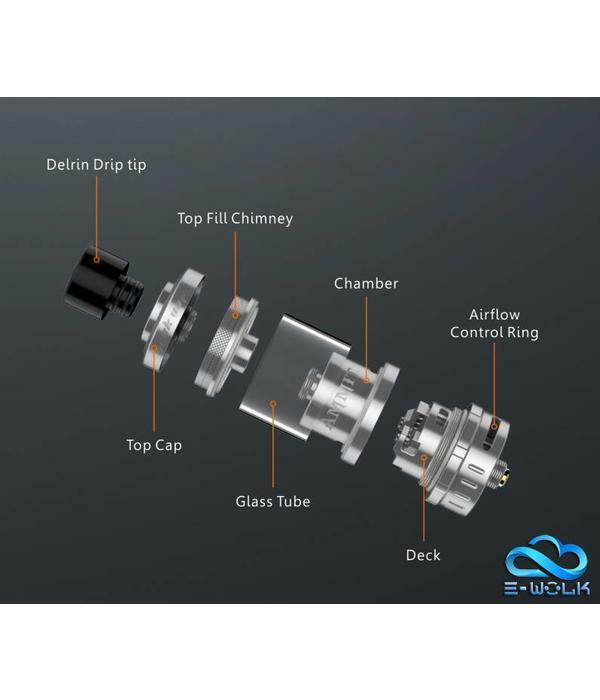 The first air channel lies directly beneath the coil at the center of the build deck, featuring three air tubes that travels upward for a direct-to-coil effect. 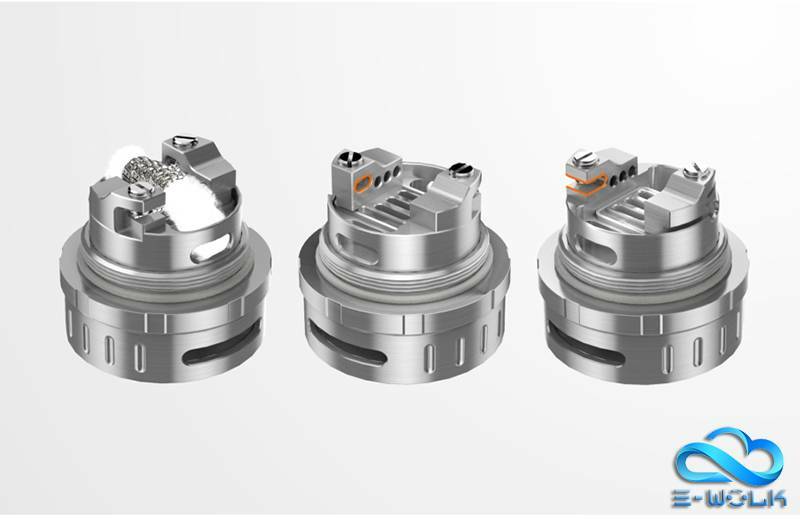 The other two channels are constructed within the two-post, implementing three airslots in each post to provide an air-path that travels directly across the coil structure before rising vertically through the chimney. 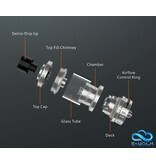 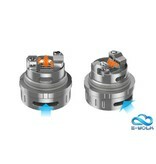 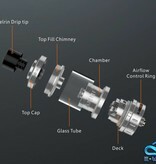 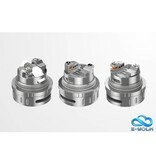 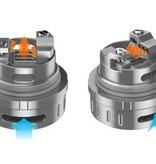 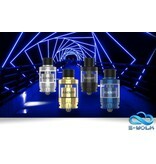 Furthermore, the kit includes a Delrin widebore drip tip with the optional 810 drip tip adapter for extended versatility. 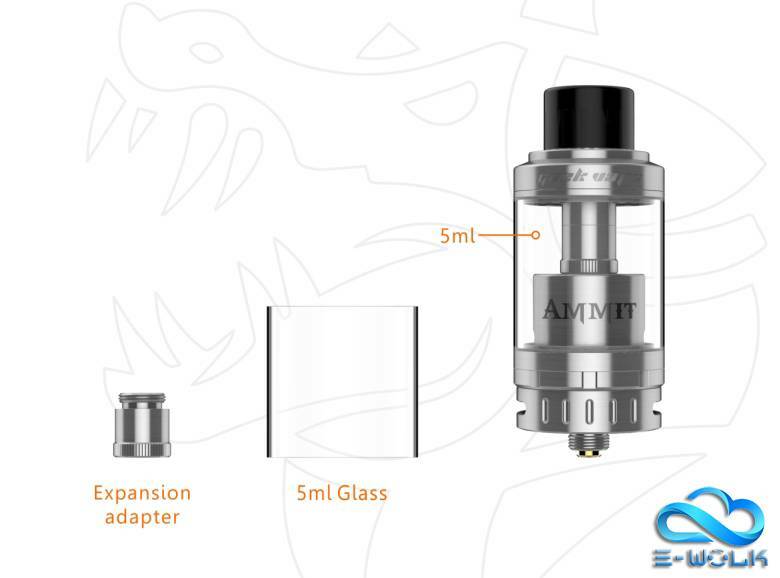 Intuitively designed with improvements in every areas with precise execution, the latest Ammit 25mm RTA is presented as Geek Vape's new flagship platform.